Dr. Ryan Loftin joined us for our August 18th meeting. 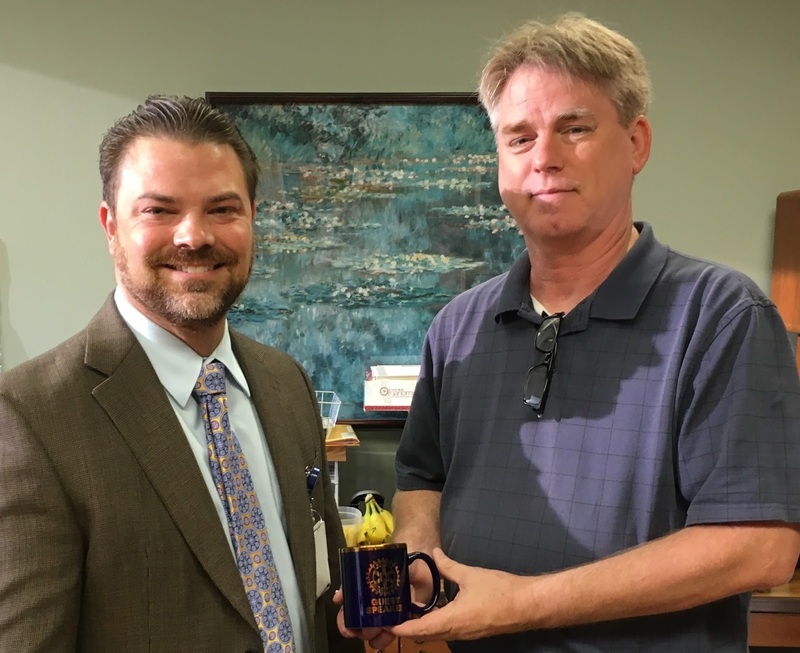 He gave a great presentation on Driscoll Children's Hospital in general and the successful effort to separate 10-month-old conjoined twins earlier this year. Dr. Loftin, a specialist in high-risk pregnancies, was instrumental in the prenatal care of the mother and assembling the large team of doctors needed for the delivery of the triplets and later separation of the conjoined twins. Forty-five medical professionals took part in the history-making surgery at Driscoll in April 2016. Yet, so many others in the Driscoll family have been doing their part in caring for the twins since their arrival at Driscoll shortly after their birth May 16, 2015. Doctors were quick to realize the accomplishments of all. Steve Woerner, President and CEO of Driscoll Children’s Hospital, described the separation surgery as a “man on the moon event” for the hospital. Such a historic moment doesn’t just happen though. The team went through countless hours of preparation which included dress rehearsals. Such preparedness was music to the ears of the surgery’s team leader. “It was almost like an orchestra. Everything came together perfectly,” said Dr. Patel. Just one month after the separation surgery, all three sisters, Scarlett, Ximena and Catalina, were celebrating their first birthday. A party was held at Driscoll in the theme of “Frozen,” the girls’ favorite movie. The joyous occasion was complete with balloons, streamers and a huge birthday cake. Just two days after their birthday celebration and five weeks after their surgery, Scarlett and Ximena were released from the hospital. Because of their incredible progress, the girls were released months ahead of schedule. Team of Driscoll physicians and staff who cared for and supported conjoined twins Scarlett and Ximena Hernandez-Torres. (From left) Miguel DeLeon, MD, holds Ximena and Karl Mahar, MD, holds Scarlett at the Hernandez-Torres triplets’ birthday celebration. Last year, we teamed up with the Kingsville Noon Rotary Club to provide a grant for earthquake stricken Nepal. Here is an update on how things are progressing. Thank you to the Kingsville Noon Rotary Club for inviting us to lunch. The Sunrise Rotary Club is a service organization working to improve our community. Weekly meetings are held on Thursday mornings from 7:00 to 8:00 at the Javelina Dining Hall on the campus of Texas A&M-Kingsville. 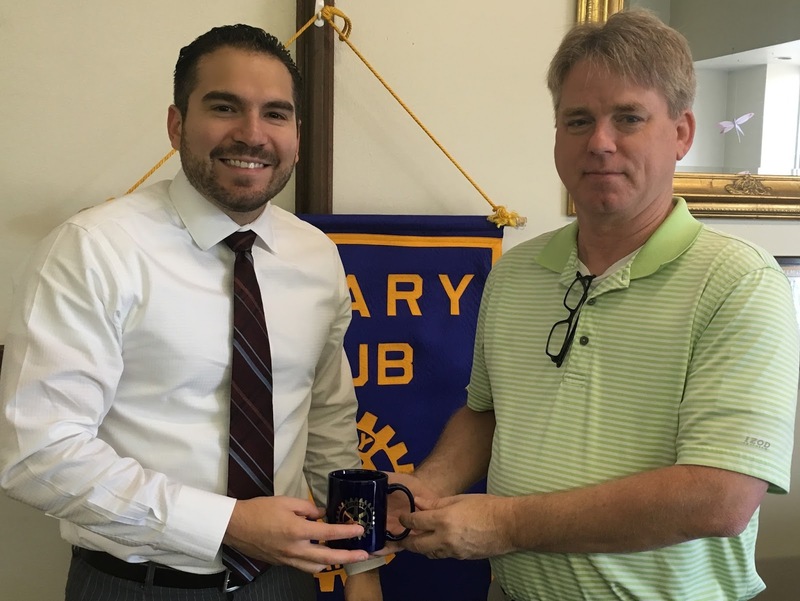 If you are interested in joining the Sunrise Rotary Club or would like to be speaker at one of our weekly meetings, just email us. 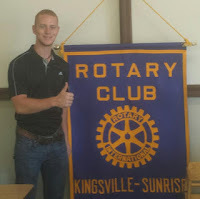 Copyright - Rotary Club of Kingsville - Sunrise Club. Simple theme. Powered by Blogger.